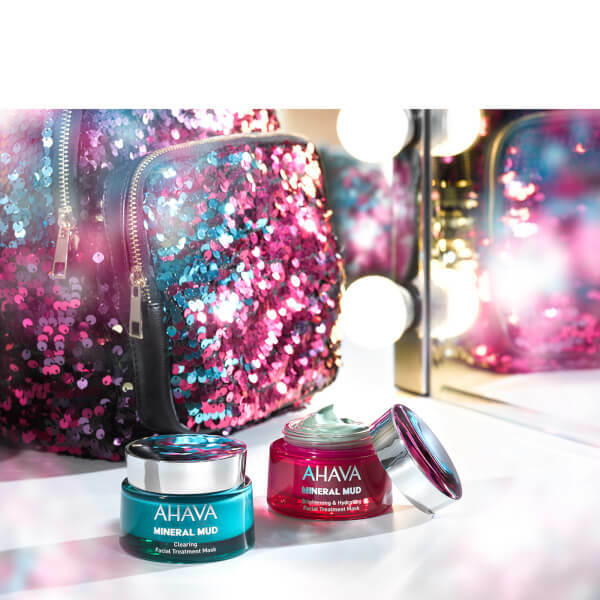 Reignite a radiant glow with AHAVA Brightening & Hydrating Facial Treatment Mask; a luxurious, mineral-rich formula that delivers multiple benefits to promote a smooth, even complexion. Fortified with Dead Sea Mud, the face mask effectively draws out debris and impurities, whilst a dose of Niacinamide restores luminosity to dull, lack-lustre skin types. The natural green pigment in the 'facial in a jar' helps to minimise the appearance of redness and discolouration. Works in just ten minutes. 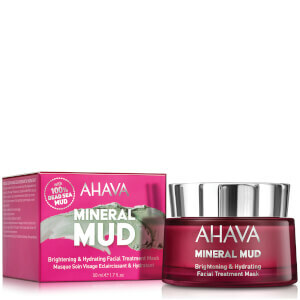 Apply a generous layer on face, avoiding the eye area. Leave on for 10 minutes and rinse off with lukewarm water. Use 1-2 times per week, as needed. Aqua (Mineral Spring Water), Glycerin, Propanediol (Corn Derived Glycol), Squalene (Phytosqualene), Niacinamide, Hydroxyethyl Acrylate/Sodium Acryloyldimethyl Taurate Copolymer, Isostearyl Isostearate, Ethylhexyl Palmitate, Caprylyl Methicone, Silica, PVP, Phenoxyethanol, Aloe Barbadensis Leaf Extract, PEG-12 Dimethicone/PPG-20 Crosspolymer, Propylene Glycol, Caprylyl Glycol,1,2 Hexanediol, Sodium Hyaluronate, Tin Oxide, Titanium Dioxide, Chromium Oxide Greens, Mica, Saccharide Isomerate, Hydrolyzed Yeast Protein, Biosaccharide Gum-1, Parfum (Fragrance), Citral, Limonene, Linalool, Ferric Ferrocyanide, Allantoin, Silt (Dead Sea Mud), Maris Aqua (Dead Sea Water), Lactic Acid, Ethylhexylglycerin, Dunaliella Salina Extract, Hydrogenated Polydecene, Phoenix Dactylifera (Date) Fruit Extract, Tetrahydropiperine, Maris Sal (Dead Sea Salt).